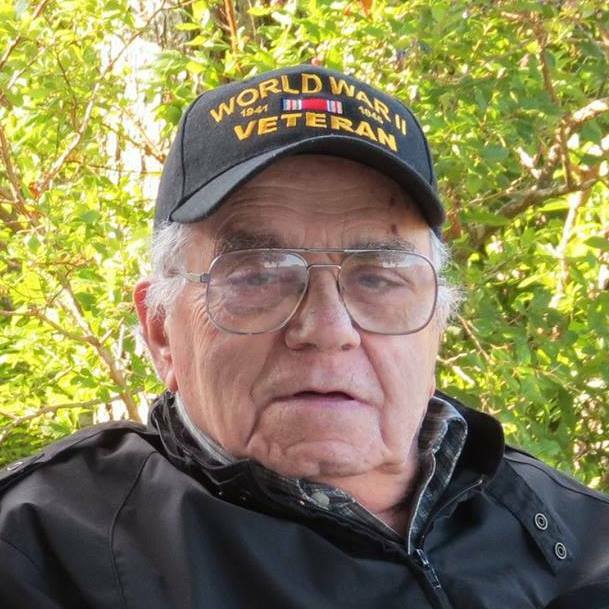 GARDNER - Paul Mario DeMeo, 92, of 80 Century Way, died peacefully Friday morning, July 13, 2018 in Heywood Hospital, Gardner. He was born in Cambridge, MA on September 6, 1925, son of the late Angelo and Lucia (Romano) DeMeo and had lived in Gardner for many years. Paul graduated from Cambridge Rindge Technical High School in 1943. Paul was drafted in November, 1943 and proudly served his country as a member of the United States Army during World War II. He was a Combat Medic Technician 5th Grade in the 5th Infantry Division under General Patton in France and Germany. He received the Silver Star for valor in combat, Bronze Star for heroic achievement in a combat zone, American Campaign Medal, European-African-Middle Eastern Campaign Medal with five Battle Stars (Normandy, Northern France, Ardennes, Rhineland, Central Europe), World War II Victory Medal, and Good Conduct Medal. Following the war, Paul graduated, under the GI Bill, from Boston University and from Boston State College with a Master's Degree in Education. He began his teaching career at the Templeton Center School, followed by teaching in Westminster, Athol and lastly in the Gardner School system until he retired in 1987. Paul was active in Cub Scouts, was Treasurer for the Greenwood Memorial Swim Team and attended Bethany Baptist Church. Paul was a lifetime member of Ovila Case Post 905 VFW and was frequent patron of Levi Heywood Library. Paul also maintained a membership in Park Street Church, Boston. He enjoyed a long reign as Rummikub Champion of his household. He loved to read, was especially interested in UFO's, CSI on television, health and nutrition, doing crossword puzzles and was an avid fan of the Boston Red Sox and New England Patriots. He had a wonderful sense of humor and loved to tell jokes. In his retirement years, he with his wife Elinor, spent 17 winters at their condo in Clearwater, FL. While there, they had fun attending yard sales and auctions. They were seasonal members of North Presbyterian Church. He will be sadly missed by his wife of 60 years, Elinor (Nelson) DeMeo; his sons, Paul N. DeMeo and his wife Jean of Gardner, MA, John of Marshfield, MA, Steven of NY and MA, and James of Long Beach, CA; his four grandchildren, Ryan, Elizabeth, Scott and Andrew; his brother Vincent and wife Rita of Cambridge, MA; nephew Joseph DeMeo of Billerica, MA, and several other nieces and nephews. He was predeceased by a sister, Rose LaSala; brothers Joseph and Ernest and a granddaughter, Jennifer. Funeral services will be held Wednesday, July 18, 2018 at 10:30 A.M. in Stone-Ladeau Funeral Home, 343 Central Street, Winchendon. Burial, with full military honors, will follow in Massachusetts Veterans' Memorial Cemetery, Winchendon. Calling hours in the funeral home are Tuesday, July 17, 2018 from 4 to 7 P.M.
Memorial donations may be made to Levi Heywood Memorial Library, 55 West Lynde St., Gardner, MA 01440.